With our new Designer Aerosol Dispenser, you can now match any room decor with two easy steps. Just snap out the removable color insert and replace with the color insert of your choice. Color insert choices include warm grey, black, red, green and blue. (Warm grey is standard. Other colors sold separately). 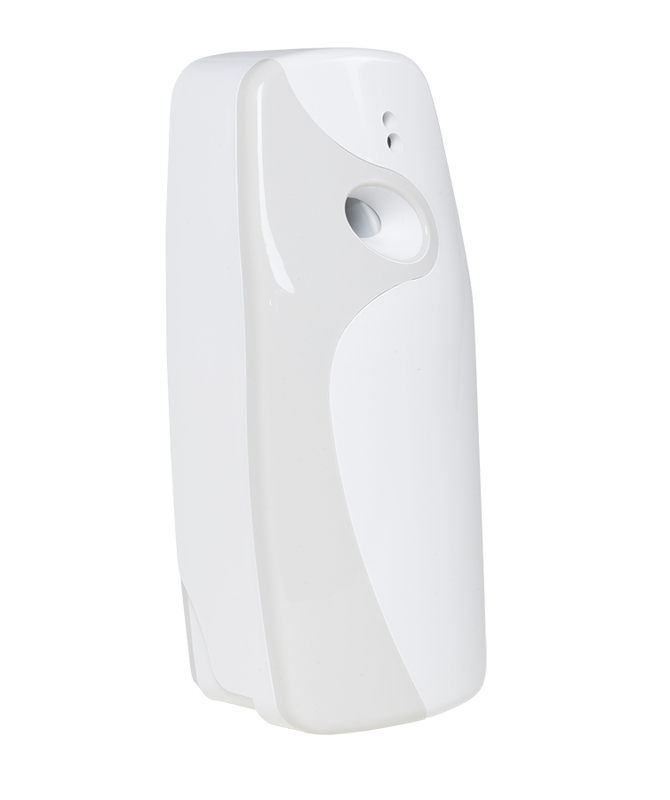 Features include daylight/24 hour setting, side test button, low battery light, low refill light, on/off switch.